ゴジラは、高圧電流がにが手だが、雷の電流 (2万ボルトぐらい)では、なんともないし、初めて東京に上陸してきた時は、5万ボルトの高圧電線を平気で破っている。Godzilla easily handles high voltage electric current in his hand, lightning current (about 20,000 volts), and destroys 50,000 volts of electric current when he first arrived in Tokyo. ところが、その後に人間が、ゴジラに対抗して1000万ボルトの電流を、高圧線に流した時は、さすがのゴジラも近づけなかった。However, after that, humans, to stop Godzilla used 10,000,000 volts of electric current through high-voltage wire, but as one would expect Godzilla was not stopped. また、3000万ボルトの放電攻撃をあびた時は、ゴジラも大苦戦して、かなりのピンチになったこともあった。Still, a lightning attack of 30,000,000 volts electric discharge in a big attack was a struggle for Godzilla. 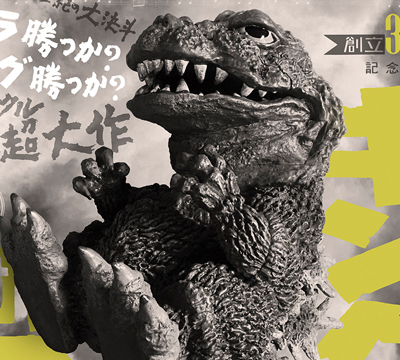 ゴジラは、ワニやトカゲのようなは虫類に近い体質なので、寒さに弱い。Godzilla, similar a crocodile and a lizard, with a constitution close to insects, is weakened in the cold. 寒いと体温が下がり、からだの活動がにぶくなって、動けなくなる。そして、そのまま冬眠に近い状態になってしまう。Cold temperatures go down his body activity because lethargic and immobile. This brings him close to the state of hibernation. かつてゴジラは、千島列等の神子島で氷に閉じこめられて、北極まで流されてしまった。Formerly, Godzilla was trapped in ice on Mikojima Island of the Kurile Islands, carried to the North Pole. さらに、南海のゾルゲル島でも、気象コントロール実験によって、降ってきた雪の中でねむってしまい、そのまま怪獣ランドまで運ばれてしまったことがあった。Furthermore, on the southern sea Sol-gel island, Godzilla fell asleep under falling snow as the result of a weather-control experiment until he was carried to Monster Island. 目さめの悪いゴジラでも、氷の中で何年もねむっていると、からだの中に原子エネギルーの熱がたまって温度が上がり始める。そうすると、目さめて活動を開始する。How many years did an evil-oriented Godzilla sleep underwater and did the temperature of the atomic energy inside his body increase. Now awake, he began to go about. この時、たまった原子エネルギーを発散させるために、放射火炎をはくのだ。He emits the stored atomic energy at the time his radiation flame comes out. 寝ている時に、ミサイルや大砲を撃ちこまれると、不気げんになってあばれ出す。When sleeping and under missiles and artillery fire, he rampages being infuriated. ゴジラは、夜に活動することが多い。深海で生活していたから、薄暗いところが好きなのかもしれない。Godzilla is very active at night. From living in the depths of the sea, he seems to favor dark and gloomy places. 最初は、夕暮れか夜中に上陸してくることが多かった。とうじのゴジラは、光に対して敏感で、まぶしい光を見ると荒れくるったり、火をよけて歩いたりした。しかし、だんだんと明るい光にも慣れてきて、昼間でも平気で活動できるようになった。At the outset, he often came ashore as the sunset and at midnight. 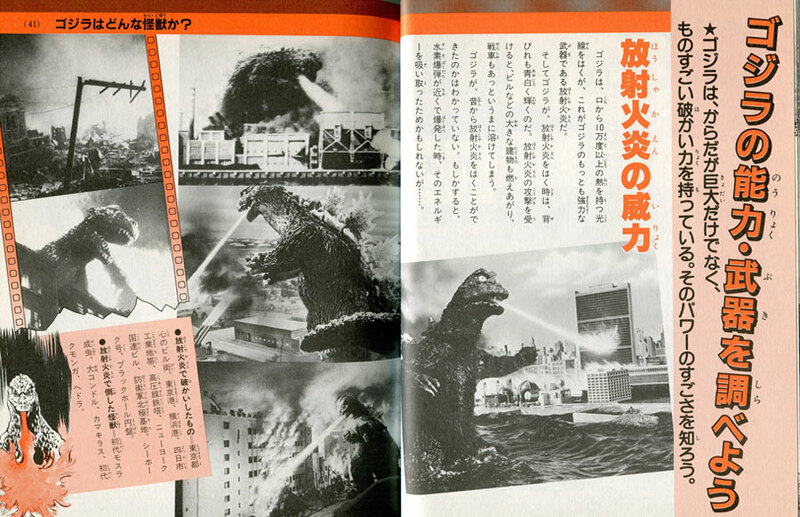 The Godzilla in those days showed a sensitivity to light and when he saw light he became upset and walked away to avoid light. As he gradually became accumulated to the bright light, he was able to move about easily during the daytime. ゴジラも動物だから、よろこんだり腹を立てたりする感情がある。ゴジラの行動をよく見ていると、時どき感情をあらわすからだの動きをすることがある。Godzilla is also an animal and he has emotions becoming happy and very angry. また、敵を倒したあとなどに、いかにも「やったぞ！」という感じで、ゆっくりと鼻の頭をこすったこともあるくらいだ。Again, after defeating an enemy and other things, he gives the impression he’s saying “Hooray!”, he walks about rubbing the tip of his nose. 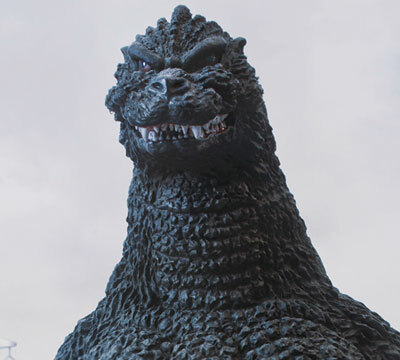 ゴジラ、いつもにわい顔をして、おこっているわけではない。Godzilla always expresses emotion on his face and he is not always angry. 時には、笑うこともある。いかにもうれしくそうに、腕を上下に振ってみたり、腹をかかえて大笑いしたころもあった。At times, he smiles. 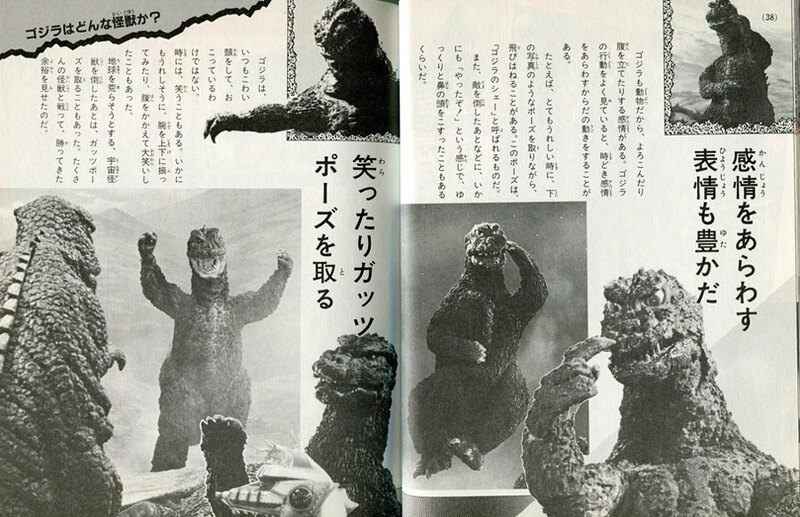 He is also really happy with his arms going up and down with great laughter. 地球を荒らそうとする、宇宙怪獣を倒したあとは、ガッツポーズを取ることもあった。たくさんの怪獣と戦って、勝って来た余裕を見せたのだ。He throws down space monsters trying lay waste to the earth and strikes a victory pose. He fights many monsters and expresses his victory over them. ★ゴジラは、からだが巨大だけでなく、ものすごい破かい力を持っている。そのパワーのすごさを知ろう。Godzilla not only has a gigantic body, but also brings earth-shattering destruction. Be aware of this terrible destructive power. ゴジラは、口から10万度以上の熱を持つ方線をはくが、これがゴジラのもっとも強力な武器である放射火炎だ。 From his mouth Godzilla blows a beam over 100,000 degrees in temperature. 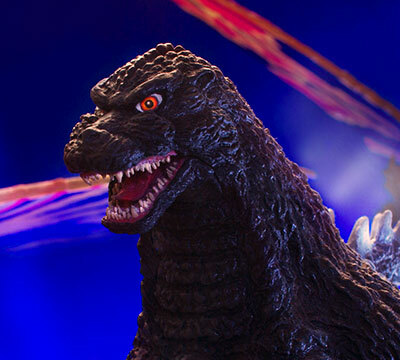 This radiation flame is Godzilla’ most powerful weapon. そしてゴジラが、放射火炎をは時は、背びれも青白輝くのだ。放射火炎の攻撃を受けると、ビルなどの大きな建物も燃え上がり、戦車もあっというまに溶けてしまう。 Then Godzilla, when he uses his radiation flame, his dorsal fins shine blue and white. ゴジラが、昔から放射火炎をはくことがてきたのかはわかっていない。もしかすると、水素爆弾が近くで爆発した時、そのエネルギーを吸い取ったためかもしれないが…。It is unknown that Godzilla could he blew his radiation flame long ago. Perhaps, at the time of an atomic bomb explosion, this energy was possibly absorbed. ●放射火炎で倒した怪獣＝初代モスラ成虫、大ゴンドル、カマキラス、初代クモンガ、ヘドラ。Use the radiation flame to bring down monsters = First-generation adult Mothra, Giant Condor, Kamikilas, first-generation Kumonga, and Hedorah. ゴジラは、太くて長い尾をムチのように自由に動かして、建物をなぎ倒したり、怪獣と戦う時には、足ばらいをかけてたりする。このように、尾は放射火炎につづく武器でもある。Godzilla whips his fat long tail freely, mowing down buildings, when fighting monsters, and to trip up. In this way, his tail is a weapon like his radiation flame. ところが、ぎゃくに尾を相手につかまれて、振りまわされたり、尾の先にかみつかれて、苦戦したこともたびたびある。He can even grab his opponent with his tail, wield it, snap it away, again and again in a hard fight. ●尾で破かいしたもの＝東京の日劇ビル、北極基地の管制塔、名古屋タワー、静之浦ハッピーセンター。Destruction with his tail = Tokyo Gekijo building, Arctic Base control tower, Nagoya Tower, and Shizuyuki Happy Center (Happy Enterprises). 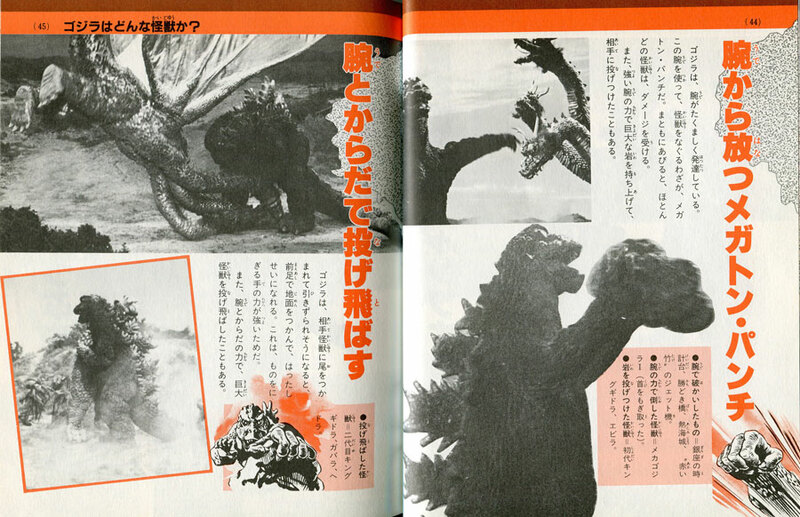 ●尾で攻撃した怪獣＝キングコング、モスラ幼虫、2代目ラドン、カイガン。Monsters struck with his tail = King Ghidorah, Mothra larva, Second-generation Rodan, and Gigan. ゴジラは、尾を使ってジャンプすることがある。尾で地面をたたきつけて、その勢いで飛び上がるのだ。Godzilla uses his tail to jump. Slapping the ground with his tail, he jumps up with its force. 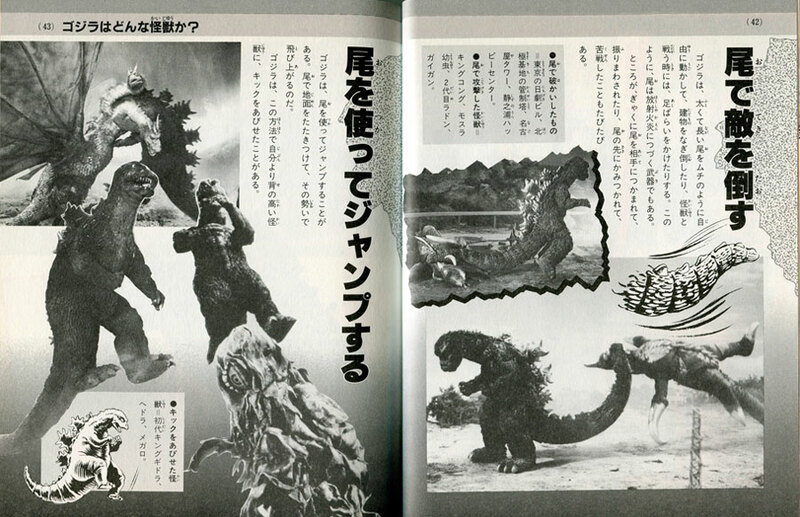 ゴジラは、この方法で自分より背の高い怪獣に、キックをあびせたことがある。Using his tail in this way Godzilla kicks King Ghidorah, the tallest monster. 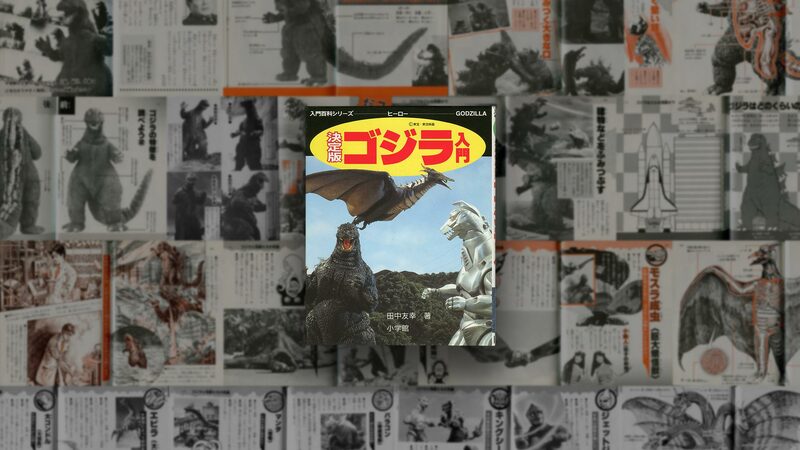 ●キックをあびせた怪獣＝初代キングギドラ、ヘドラ、メガロ。Monsters he kicked = First-generation King Ghidorah, Hedorah, and Megalon. ゴジラは、腕がたくましく発達している。この腕を使って、怪獣をなぐるわざが、メガトン•パンチだ。まともにあびると、ほとんどの怪獣は、ダメージを受ける。Godzilla has developed strong arms. He uses of his arms to strike monsters is the megaton punch. Inevitably monsters take damage when used together. また、強い腕の力で巨大な岩を持ち上げて、相手に投げつけたころもある。Again, he raises large boulders with his strong arms to throw them at opponents. ●腕で破かいしたもの＝銀座の時計台、勝どき橋、熱海城､〝赤い竹〟のジェット機。Damage due to his arm = Ginza Clock Tower, Kachidoki Bridge. 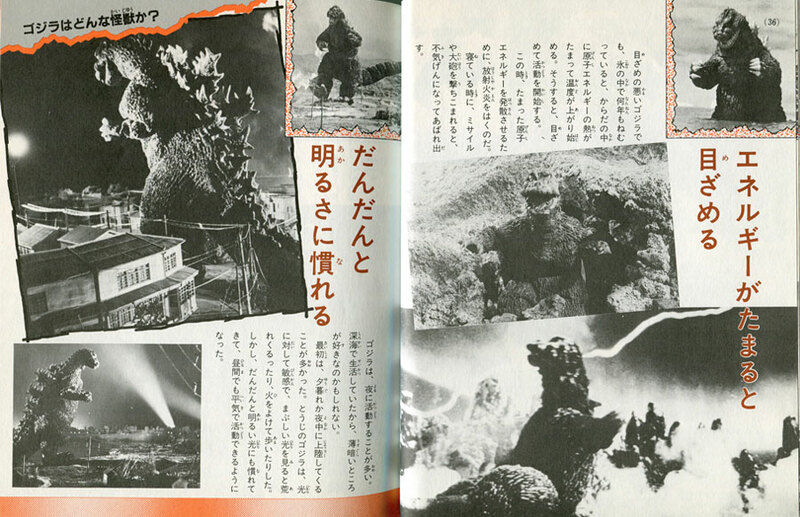 ●岩を投げつけた怪獣＝初代キングギドラ、エビラ。Monsters who had rocks thrown at them = First-generation King Ghidorah and Ebirah. ゴジラ、相手怪獣に尾をつかまれて引きずられそうになると、前足で地面をつかんで、はったしせいになれる。これは、ものをにぎる手の力が強いためだ。Grabbing the tail of opposing monsters, Godzilla begins to crawl by hold the forefoot. Grasping with his powerful hand is an advantage. 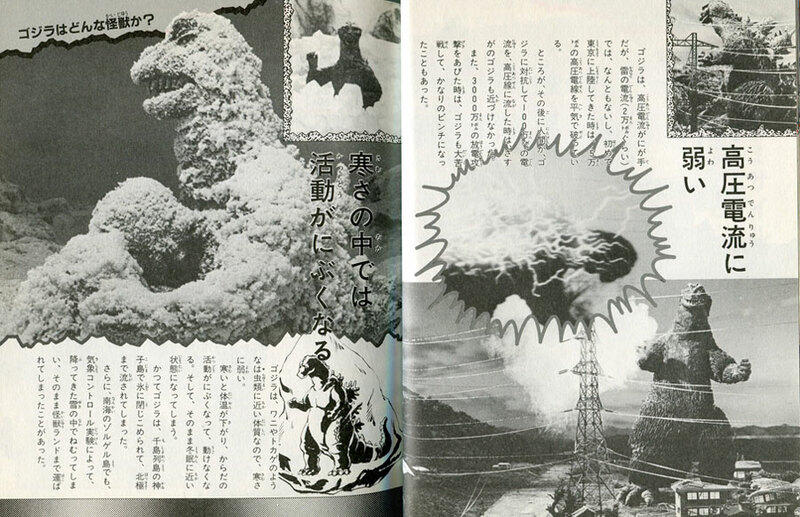 また、腕とからだの力で、巨大怪獣を投げ飛ばしたこともある。Also, with the power of his tail and body Godzilla hurls giant monsters.